Economic news was lean last week as the first week of the month tends to be calm in the aftermath of the rush of end-of-month reporting. Of note was CoreLogic’s report on housing markets, the release of the minutes from the most recent FOMC meeting and lower mortgage rates reported by Freddie Mac. August home prices hit their slowest growth rate in nearly two years according to CoreLogic data released last Tuesday. Annual home prices grew by 6.40 percent in August as compared to July’s reading of 6.80 percent. Year-over-year home price growth reached a rate of 11.40 percent in August. Analysts have recently said that a slow-down in home price growth may increase slowing demand for homes as inventories of available homes have increased in recent months. Low inventories of available homes and high demand contributed to rapid growth of home prices in 2013. The slower pace of home price gains is expected to continue next year; analysts predicted an annual growth rate of 5.20 percent in August 2015. Home prices remain about 12 percent below peak levels reached in 2006. Minutes of the Federal Open Market Committee meeting held in September were released Wednesday. Of note were member concerns that changing the committee’s language for its oft-repeated assertion that target rates for federal funds would remain between 0.00 percent and 0.250 percent for a considerable time” after asset purchases under the QE program ended could be viewed as a fundamental policy change. The FOMC also registered concerns over the impact of a stronger U.S. dollar on the economy and said that persistent weakening of the European economy could cause the dollar to strengthen too much. This would cause exports to decrease and could also slow inflation. The Fed decided not change language in its forward guidance in order to avoid unintended reactions in the financial markets. Freddie Mac’s Primary Mortgage Market Survey reported that average mortgage rates fell last week. The average rate for a 30-year fixed rate mortgage dropped by seven basis points to 4.12 percent with discount points higher at 0.50 percent. The average rate for a 15-year fixed rate mortgage fell by six basis points to 3.30 percent with discount points unchanged at 0.50 percent. The average rate for a 5/1 adjustable-rate mortgage was lower by one basis point to 3.05 percent with discount points unchanged at 0.50 percent. Weekly jobless claims were lower at 287,000 new claims filed against predictions of 294,000 new claims filed and the prior week’s reading of 288,000 new claims filed. This supports recent indications of stronger job markets; coupled with lower home prices, this could prompt more would-be homebuyers to buy homes. Markets are closed for Monday’s Columbus Day holiday and no economic reports are scheduled for Tuesday. The Fed releases its Beige Book report Wednesday and the NAHB Home Builder’s Market index for October is due Thursday along with Freddie Mac’s PMMS report and weekly jobless claims. 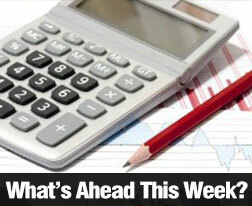 Housing Starts and the Consumer Sentiment Index are scheduled for next Friday. This entry was posted in Market Outlook and tagged CoreLogic Housing Markets, FOMC, Freddie Mac by BJ Kirkpatrick. Bookmark the permalink.